Happy launch day to one of my premade branding clients, Stacy Bowen Floral Design! Stacy is a Maryland wedding florist who purchased my Amanda Whitmore one of a kind Showit website. She also added a brand identity package to her website to give her a completely new professional brand and website. Each of my one of a kind Showit templates is only sold once to ensure its unique to its owner. Often, clients will add a brand identity package to their site that includes a brand board with logo, alternates, monograms, color palette (of their choosing) patterns, and fonts, a stationery suite design, and social media templates. Upon purchase of her site I sent Stacy a questionnaire to first fill out her brand’s information and give me her color palette. I then sent a questionnaire for her Showit website she bought to collect all information. I also invited her to a Dropbox folder to give me all of her site images. Then I simply customized everything! Here was the original one of a kind website home page, the Amanda Whitmore, next to Stacy’s new brand home page. All I did was replace images with her images, change text, and update colors. Visit my one of a kind Showit websites in the shop to get started! 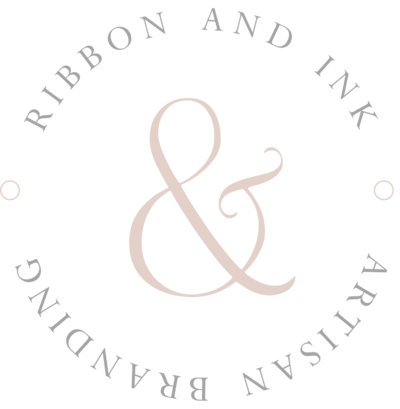 Email me at info@ribbonandink.com with questions about adding a brand.